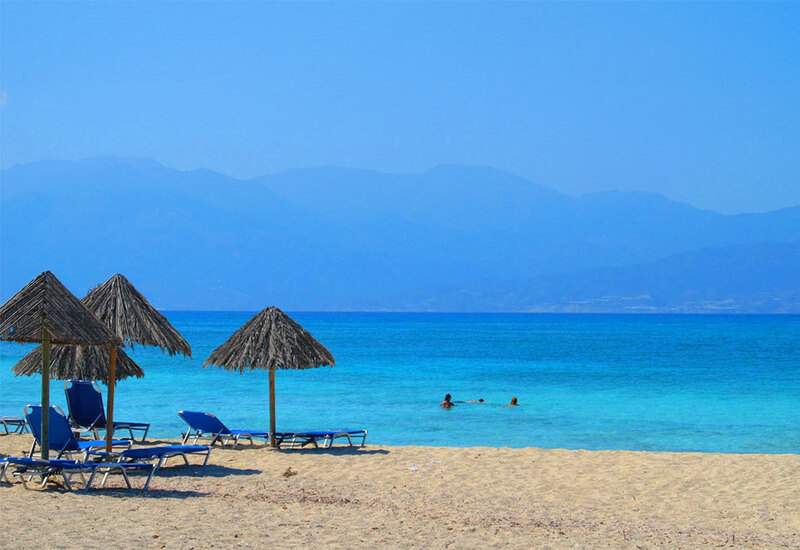 Chrissi Island | Guide for Chrissi island near Ierapetra in Crete. Chrissi Island. A lost tropical paradise. One of the 81 uninhabited islands of Crete is Chrissi or Gaidouronisi (donkey) island. The residents of Ierapetra call it "the Island" as there is a special relationship between them. 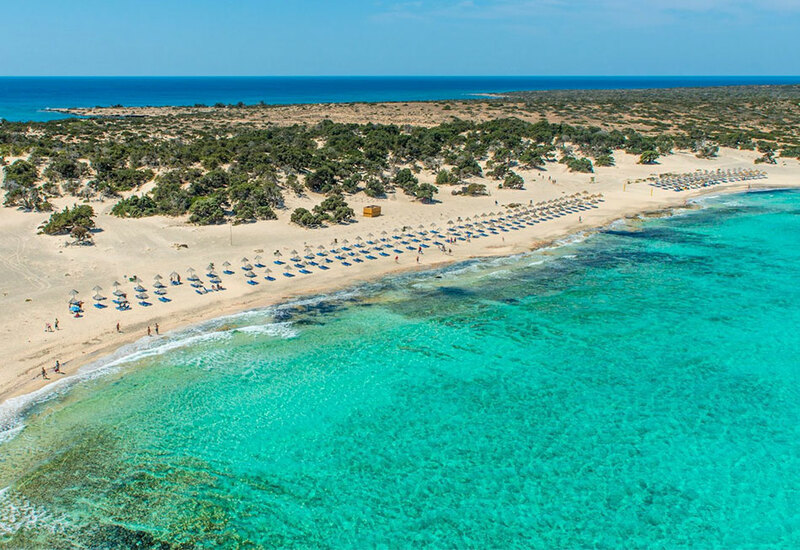 Chrissi island lies 8 miles away from Ierapetra's coasts, in the Libyan sea. Chrissi island is almost flat with colorful volcanic rocks covered in gold sand, purple shells and sand dunes. It is 5 km long and has an average width of 1 km and an average height of 10m. The highest hill is on the east part and is called "Kefala" 31 m high. From over there the visitor can have an impressive view of the Libanon cedar forest, probably the last existing in Europe. The density of these trees is approximately 28 trees per hectare and in an average age of 200 years old. On the west part of the island the visitor can see the well-preserved old chapel of Agios Nikolaos (possibly built in the 13th century), the salt pan which still gathers salt, the old port, the Minoan ruins, some Roman carved graves and the light house. At the Byzantine era the main source of income was fishing, salt export and the export of "porfira" a scarlet dye produced from shells for the cloaks of Europe's royalty. Later pirates forced the inhabitants to flee Chrissi for safety in Crete and used the island as a hide-out. Many pirate and merchant ships have sunk in the area. In the sea around the island the variety of the marine species is impressive. Around 54 different species of fossils were set on the volcanic rocks 350000 to 70000 years ago, when Chrissi was covered by water. A number of them still live in the sea around. As a result all the northern costs (Belegrina, Hatzivolakas& Kataprosopo bays) are full of shells. The turquoise waters around the island are shallow. Up to 1 Km north and south, the depth does not exceed 10 m. This makes Chrissi the best place for snorkeling. Chrissi looks like the last paradise on Earth. A place to dream, swim and go walking. About 700 m east of Chrissi is a small rocky island " Mikronisi". On Mikronisi hundreds of herring seagulls make their nests. 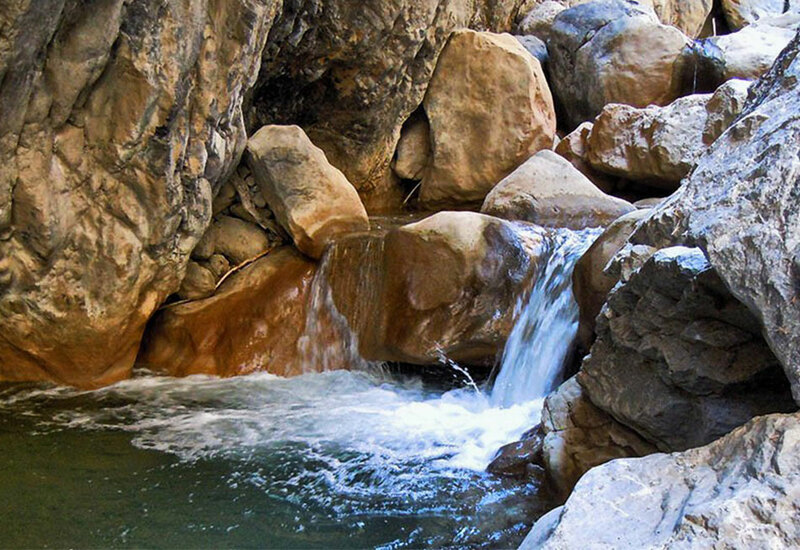 For the well-preserved rare ecosystem and its beauty, Chrissi is protected as an "Area of Intense Natural Beauty". From the middle of May till late October there are daily excursions to the island. The departure is from Ierapetra at 10.30 a.m. and the return is around 16.00 p.m. The duration of the voyage is about one 50 min. (depending on the weather). Passengers disembark at "Vougiou Mati" on the south part, where there is a tavern. From the tavern there is a path along the southern beach. Turning north, it leads to the eastern side of "Belegrina" bay (shells beach). Within a day trip the visitor has enough time to walk around, bath in its turquoise waters and have a snack at the tavern. In Chrissi's unspoiled and fragile environment visitors must act with utmost respect towards nature.